Chrome, the Webkit-based Google browser that launches tomorrow at Google.com/chrome, will give them a real foothold on the desktop and way more control over how web applications perform. 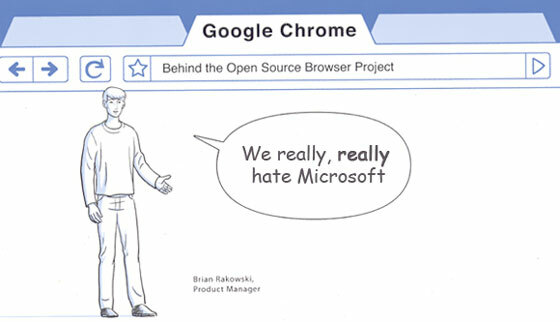 Microsoft, meanwhile, is stuck with a bloated closed source browser that they are legally restricted from tying to their search engine. Google can push their search engine and other web services all day long on Chrome, with no government interference. So not only will Chrome drive lots of incremental revenue to Google, it also paves the way for a Microsoft-free computing experience.